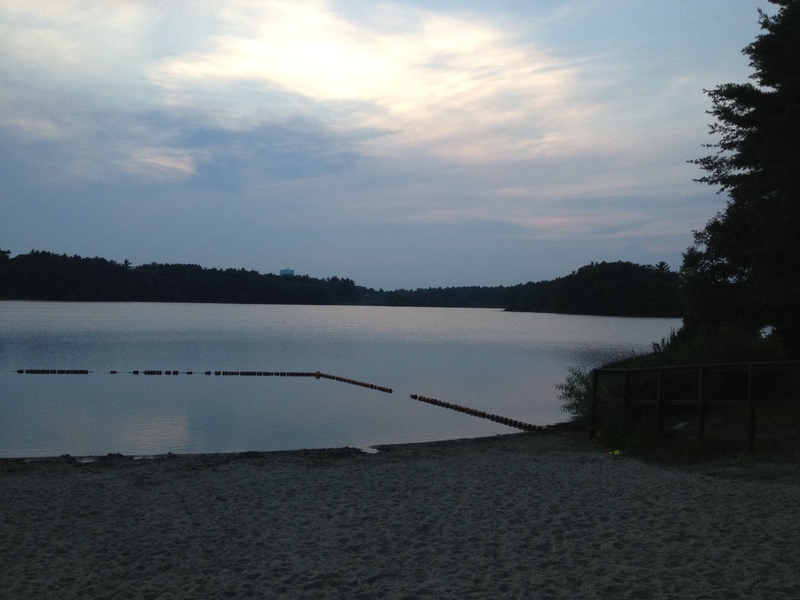 Watson Pond State Park - Taunton, MA - Take a day trip! Swimming: There is a approximately 300 foot long beach area here. 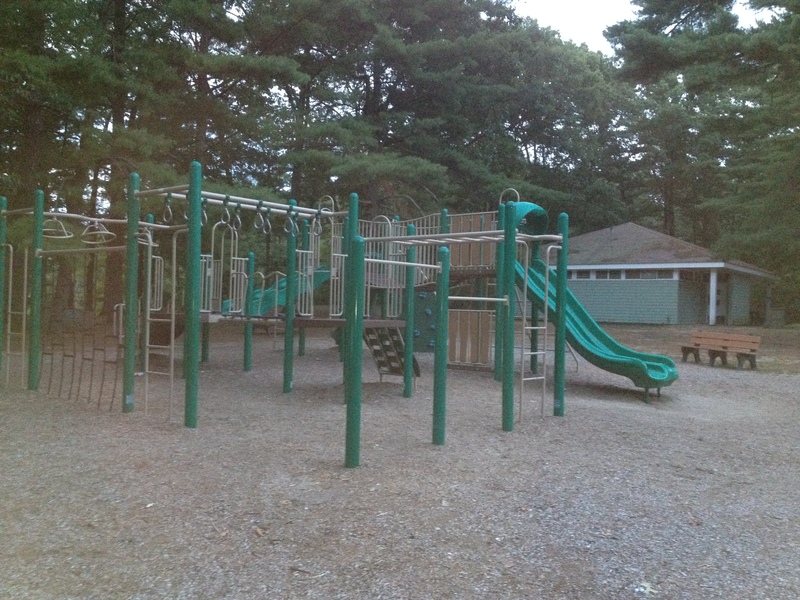 Playground: There is a nice playground area with swingsets and lots of other features for kids and adults to enjoy. Playground area at Watson Pond State Park in Taunton, MA. Grilling and Picnic Areas: There are picnic tables and grill pits available for small groups to use. Non-motorized boating: Canoes and other non-motorized boats are welcome on Watson Pond. Fishing: Fishing is permitted away from the swimming area here with a state fishing license. Walking Trails: There are a few short walking trails on property however nothing very significant. Facilities, Fees and other information: There is a bathhouse and changing facility that is handicap accessible and open in season (late May to early September). There is also a $5 parking fee. Gates are closed and locked at 6PM and parking on the side of Bay St. near this park is prohibited. 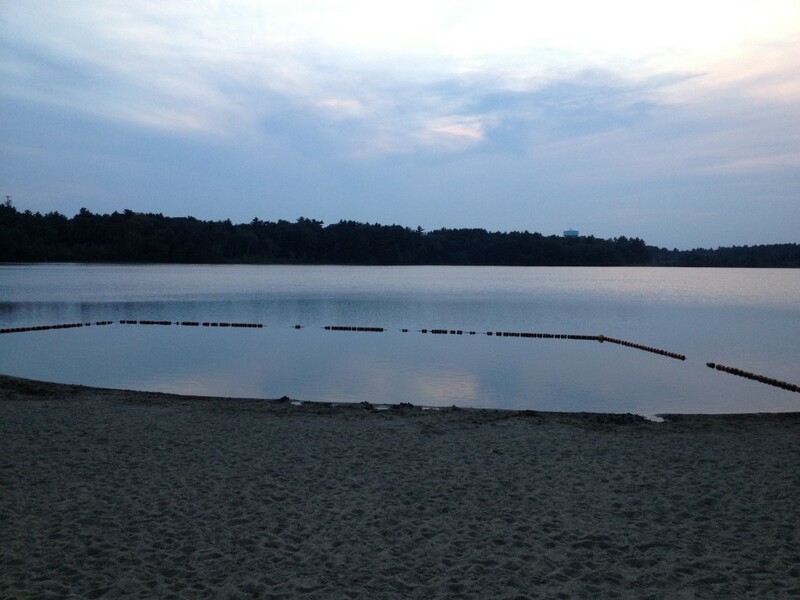 Directions: Watson Pond is located right on Bay St., which is exit 9 off I-495. Coming from the southbound side of I-495 take a right from the off ramp and coming from the northbound side take a left from the off ramp. The park will be about a mile down on your right.